Shopping for Andy Warhol Action Figures? From Medicom Toy comes this Bearbrick of the American artist, director, and producer pop artist, Andy Warhol! 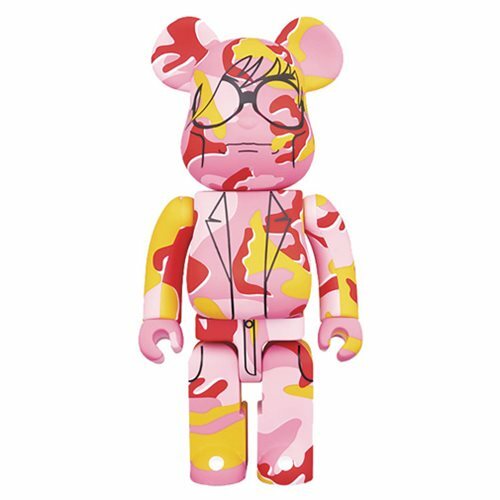 This 1000% Bearbrick dons a camo deco, complete with Warhol's signature and self-portrait on the back. This vivid camouflage paintwork is a tribute to his impact on art and pop culture. The 1000% version stands 28-inches tall. Take home a piece of art today! Ages 15 and up.